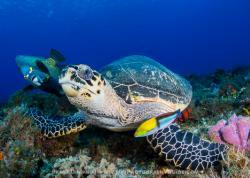 The Eastern Pacific is well known as the top place for big-fish photography. 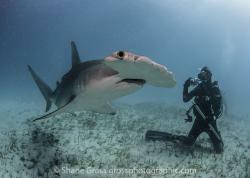 What is less known – you don’t need to travel as far as Cocos, Malpelo, Socorro or Galapagos for a great shot. Save yourself two days of notorious ocean crossings and turn your attention to the lush Panamanian island of Coiba. Coiba brings a lot of surprises. For me, the first one was the very existence of such an island – so close to my own California and so unbeknown here. On my first trip with liveaboard Yemaya, Coiba was a stopover on the way to Malpelo, but even a single day of diving there was so surprising that Coiba became my next exclusive destination that same day. Further research brought about the third surprise: it turns out that Coiba is the largest tropical island in the Americas and the biggest uninhabited tropical island in the world. In fact, Coiba is an archipelago. 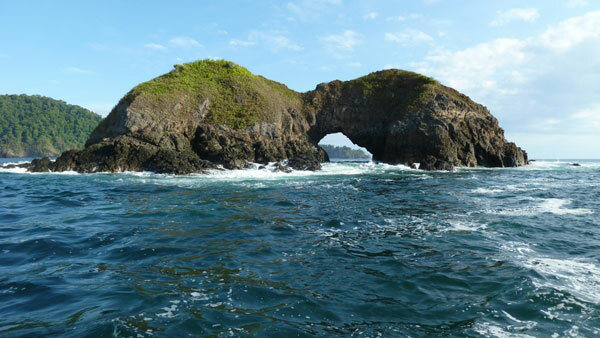 The main island with its huge territory of about 200 square miles is surrounded by three dozen smaller islets; together they comprise the Panamanian Coiba National Park. Coiba volcanic origin makes the island a natural part of the Pacific Ring of Fire, on par with Cocos and Galapagos, who both connect with Coiba through a chain of underwater mountains. Coiba is located exactly where that underwater ridge comes ashore in the Panamanian Gulf of Chiriqui. So, it is not a coincidence that on the other side of the Gulf of Chiriqui the American Continental Divide shoots up volcano Baru, the biggest mountain peak in Panama. 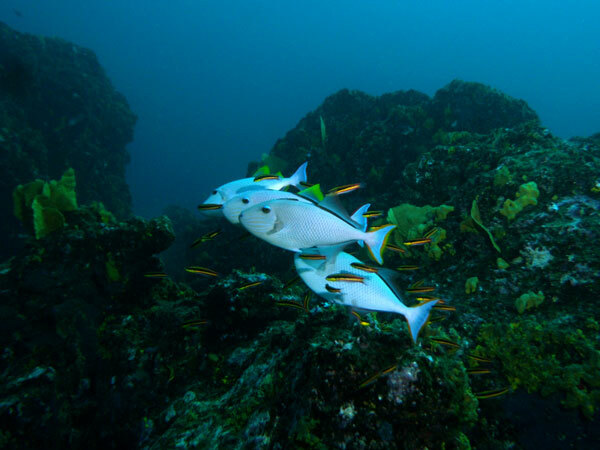 Coiba’s huge territory and extended shoreline guarantees diverse and plentiful diving, for which the island is aptly placed. Comparing to the more southerly located equatorial Galapagos Islands, which are cooled by the Humboldt Current from the Southern Hemisphere, Coiba receives much warmer tropical counter-current from Indo-Pacific. 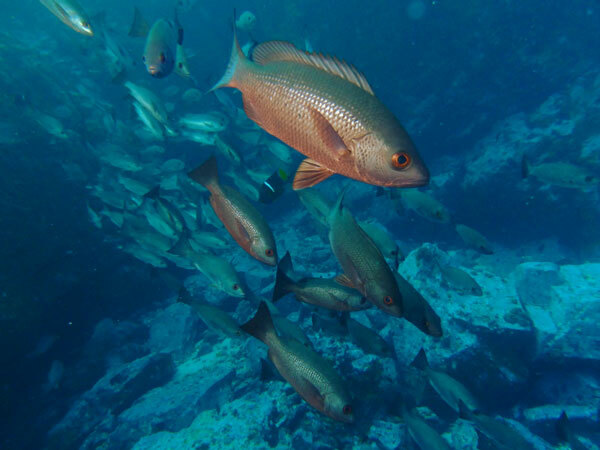 This current not only stabilizes the water temperature regime and mitigates the El-Niňo effects but it also brings an astonishing diversity to Coiba’s abundant marine life. Not accidentally, the Smithsonian Tropical Research Institute maintains its facility on Coiba’s Isla Rancheria. In 2005 Unesco declared Coiba a World Heritage Site. One of the reasons was extreme biodiversity of marine ecosystem counting more than 700 species of fishes, 30 species of sharks, and 20 species of cetaceans. In all Tropical Eastern Pacific only three places have been honored with that rank – Galapagos, Cocos, and Malpelo. Even Socorro, with all its fascinating mantas, has not been rated that high. Surprised? That’s what I promised from the beginning. Keep counting. I’ve never had so much fun as I did when diving Coiba's waters. Diving there can be utterly unpredictable; just see for yourself if it fits your concept of fun. During the same dive the clear blue water can turn green, or you can hit a California-style thermocline in a spot where on the previous dive you enjoyed the balm tropical bath. 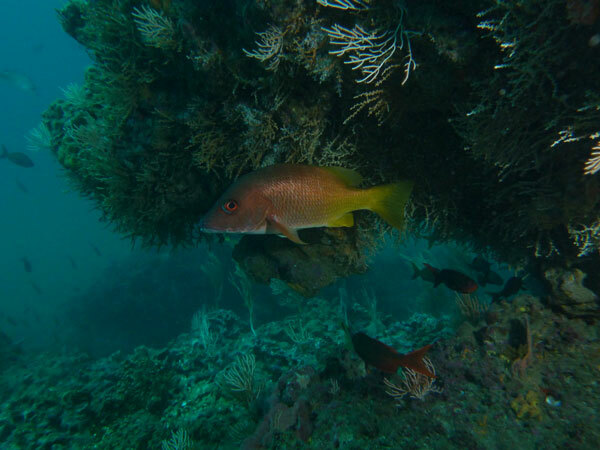 Strong currents bring into the mix even more surprises - not as much on Coiba’s shore reefs as on numerous underwater pinnacles located either offshore or in the straits between the islets. 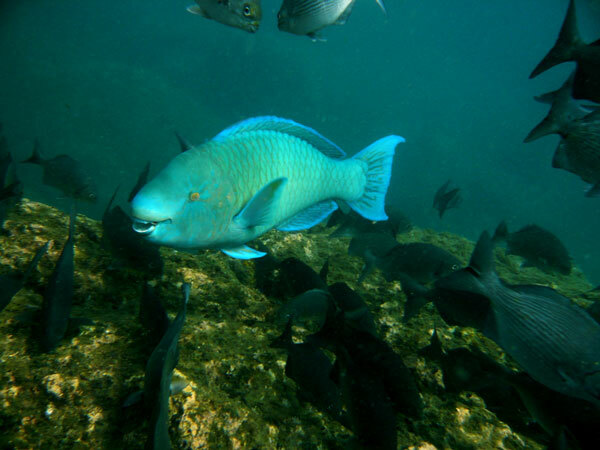 The pinnacles grant the best of Coiba diving, and tidal currents provide for real wonders in fish aggregation. Something similar I encountered only at “The Race” – a huge underwater ridge which spans the Eastern side of New York's Long Island Sound and blocks the water flow in and out of the Sound. Tidal currents at the top of The Race are enormous and slack window is practically nonexistent, so that the towering standing waves are raging the place in any weather. The Race is famous as an extreme spearfishing site due to abundance of a single (but remarkable) fish species - Atlantic Striped Bass. 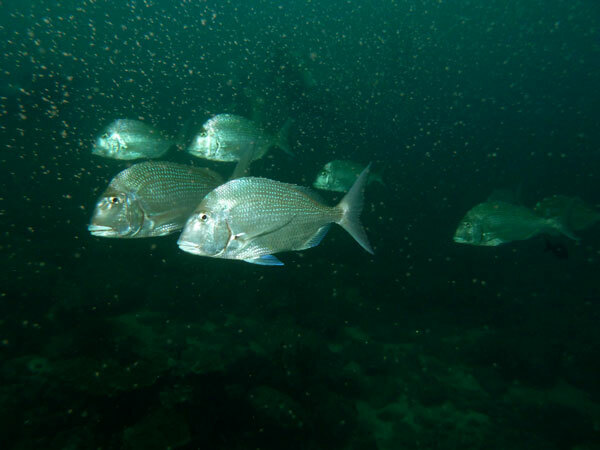 The variety of fish in Coiba is truly astonishing and strong tidal currents around Coiba's pinnacles bring about fish hot spots very similar to The Race – true whirlwinds of fish, though here you will find not one but numerous species. 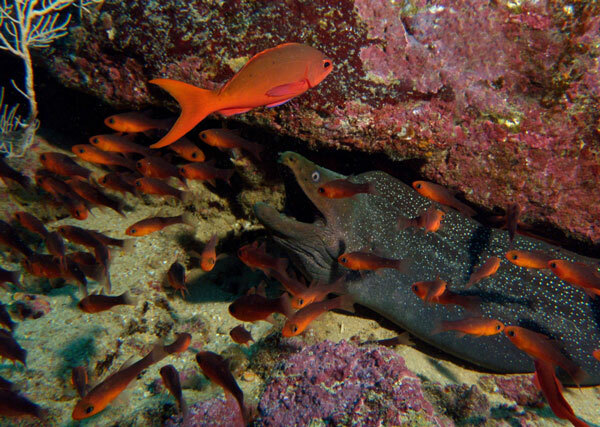 Even more spectacular is diving at the Hannibal Bank which is located farther offshore, due West, outside the Coiba National Park boundaries. The Bank is always included in the Coiba trip itinerary of the Panamanian-based liveaboard Yemaya whish is the best (if not the only) way to visit that region. 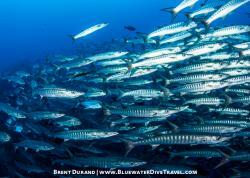 Diving Hannibal Bank can be as tricky as any open-ocean diving, but most likely it will be the culmination of your trip. On my first descent there I was truly surprised to see a rug of kelp slowly swinging underneath, well below thirty (beware - in Panama we’re talking meters! 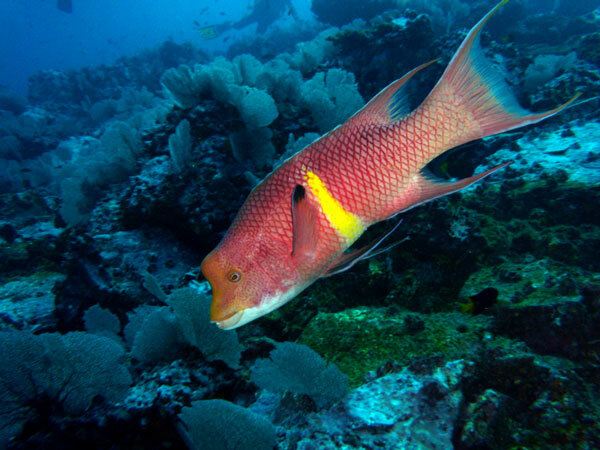 ), - which of course could not be true - before I realized it was an endless school of red snappers covering the whole reef. There is no point to go on with fish stories. 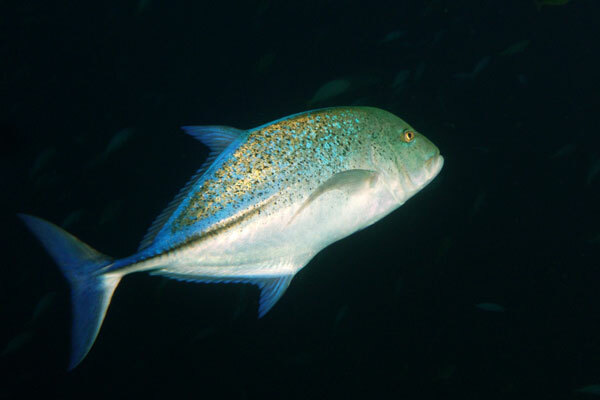 The point is – Coiba is The Place for fish photography. When I say “fish” I truly mean fish, not the big animals like schooling hammerheads or whale sharks; for those you’d better go to remote islands of Malpelo or Cocos. 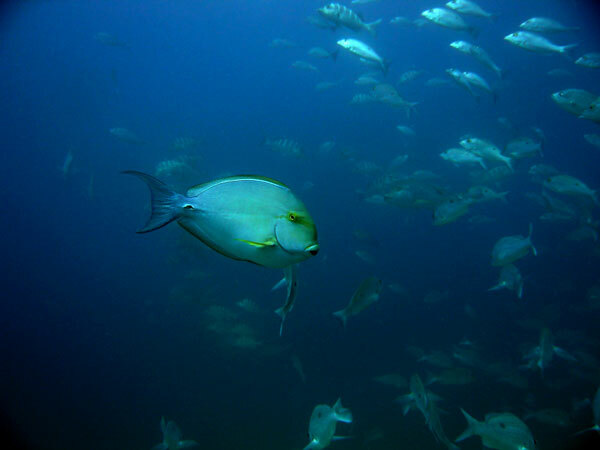 Of course, Coiba’s underwater world is as diverse as any Eastern Pacific destination, and you can get your big encounters here too, especially in Hannibal Bank, but still, in Coiba you want to concentrate on species, say, the size of a frying pan (pardon my hard-dying spearo attitude) – because there are so many! 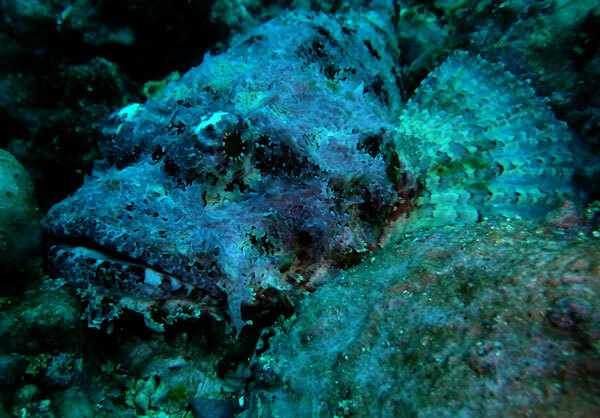 I would also skip the macro and of course all the invertebrates, though in some Coiba dive sites you can swim in nice dense groves of black corals and, indeed, in Coiba I saw my biggest ever frogfish, hardly the object for macro. 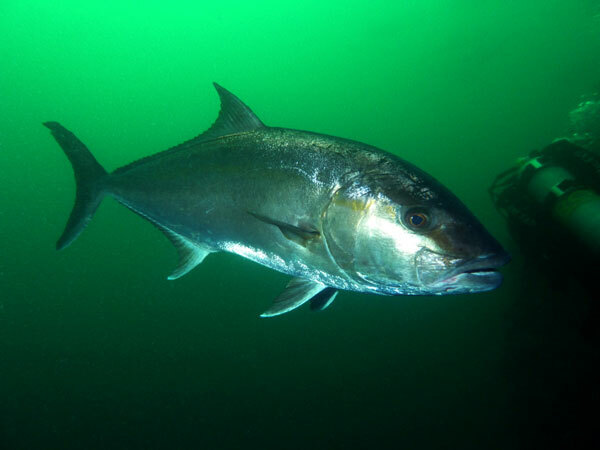 In my experience, “shooting” fish is very akin to spearfishing where the key for a good shot is not the rig at all but your fast reaction and thorough knowledge of fish behavior. Actually, the gear should be as simple as possible. This statement can be severely argued or even ridiculed. My only excuse is that all pictures in this article have been made with simplest point-and-shoot Panasonic camera, fixed shutter speed of 1/125s at ISO 200, single strongly dimmed external slave flash, and a little bit of luck... well, sometimes, with a big chunk of the latter. This style of shooting however requires a lot of torturous editing, mostly done by pressing the “delete” button. The beauty of Coiba is – you can easily afford such editing style here. 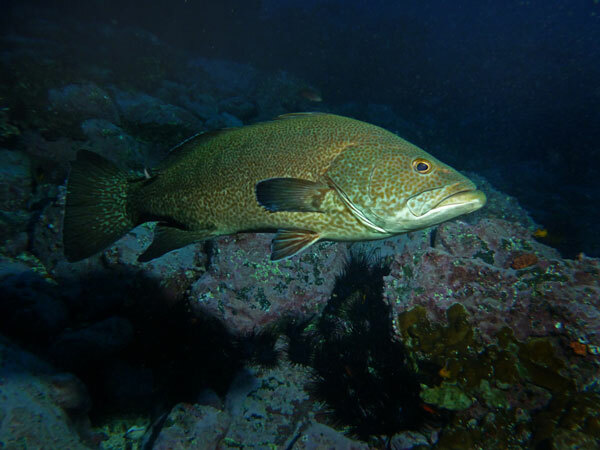 With some exceptions, the general advice for middle-size-fish photography translates into the simple “get closer” rule, and the basic advises can be copy-pasted from any spearfishing site: don't seek out fish – look for the fish spot; once there, wait; you don't find fish – fish finds you; don't move to the fish; don't look into the fish eyes... etc. . As for the last advice, I, of course, don't believe in that nonsense and superstition. I just let them work for me. 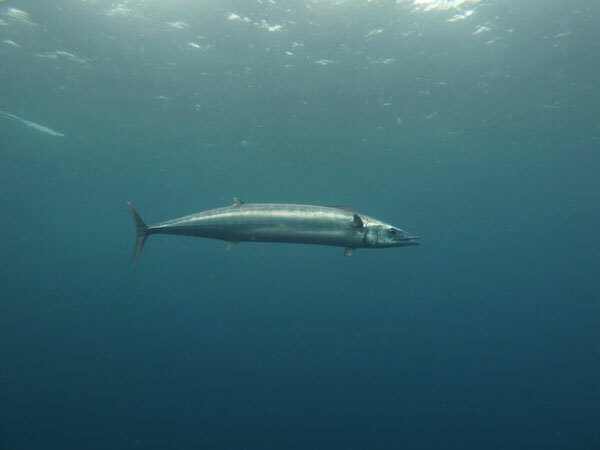 Leaving aside the spearfishing rituals, once you get close – shoot away. If you neglect a bad shot you are at risk of not getting any. Even the most curious fish needs only a glimpse. Fish do not need to be silvery to turn into sparkling mirrors under your flash. Dim the damn thing down... and then down again. In many cases, I turn my flash away and use the scattered or reflected light. Before I started using this trick, in many cases I just wasted the shot. Avoid frontal shots, they are rarely impressive. 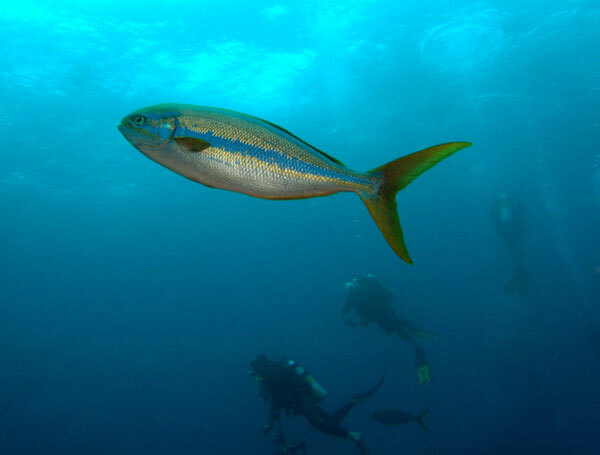 Fish should move either toward you or slightly away; this also helps cutting off the reflections. By the way, it is not the direction of movement which makes the composition – it is the direction of the fish’s eye. Good looks fix even the frontal shot. And finally, always remember – all this is supposed to be fun. Do it this way and you will get your main and ultimate surprise. This is not what you come to Coiba for. 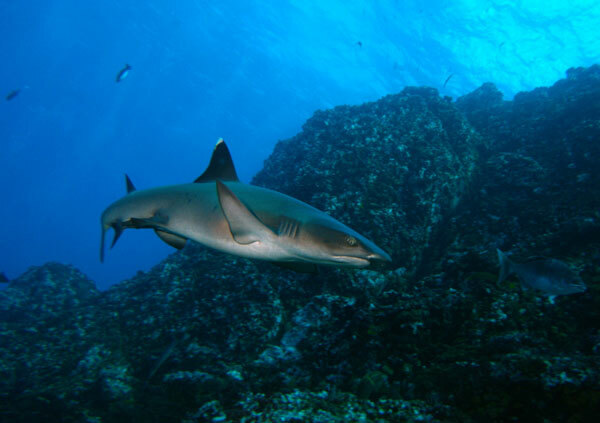 Though they’re plentiful here (Whitetip reef shark). This is also not what you come to Coiba for. 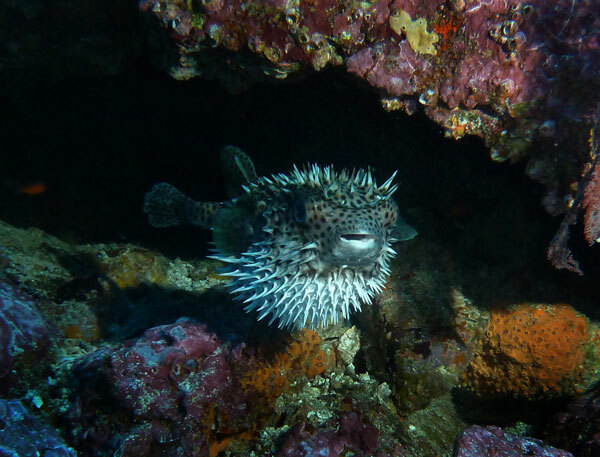 You can see them anywhere (Balloonfish). Even this is not what you come to Coiba for. 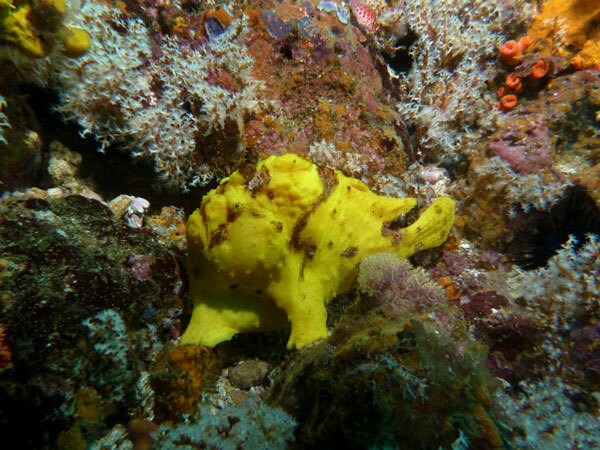 And I would miss it anyway (Frogfish). That's it. The fish (Black Croaker). 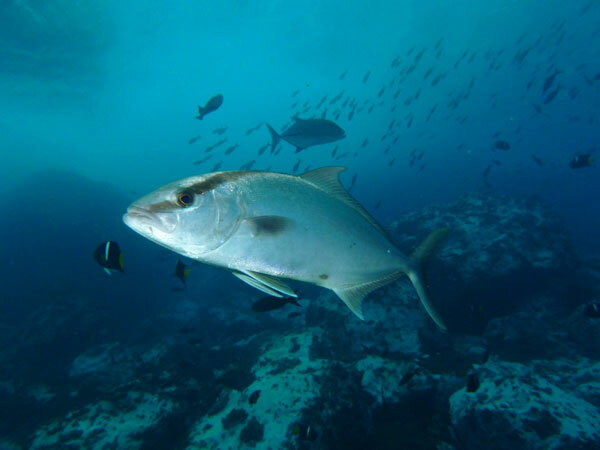 … which turns into deep green on the next dive (Greater Amberjack). 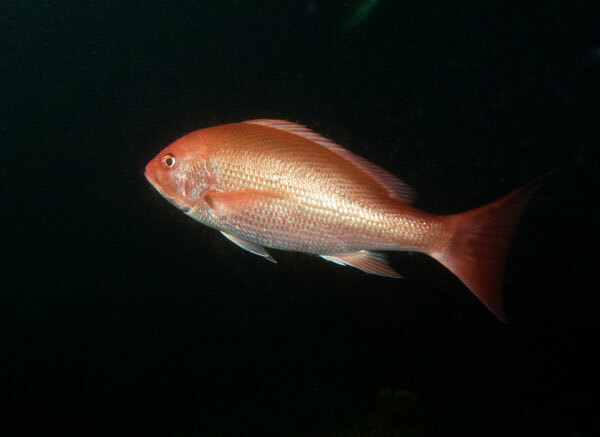 … or look under the shady ledges while keeping the natural colors (Amarillo Snapper). 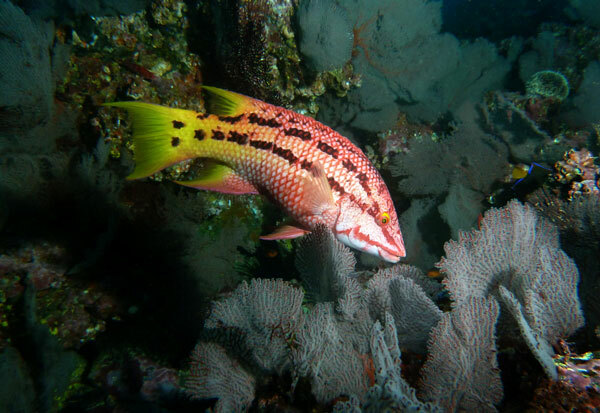 … but for Creolefish and Cardinalfish more red does not hurt. 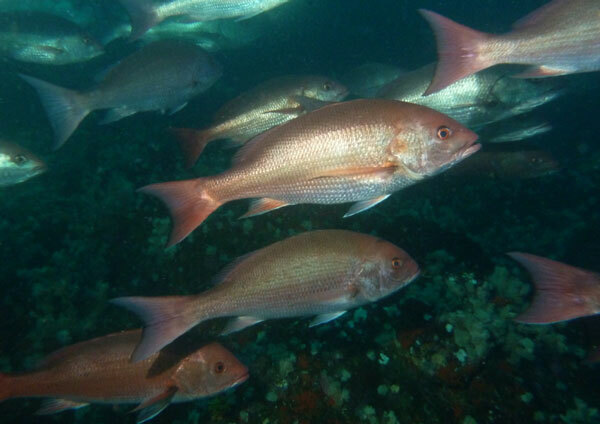 … unless you hit the bottom and get some reflected light (schooling Red Snappers). 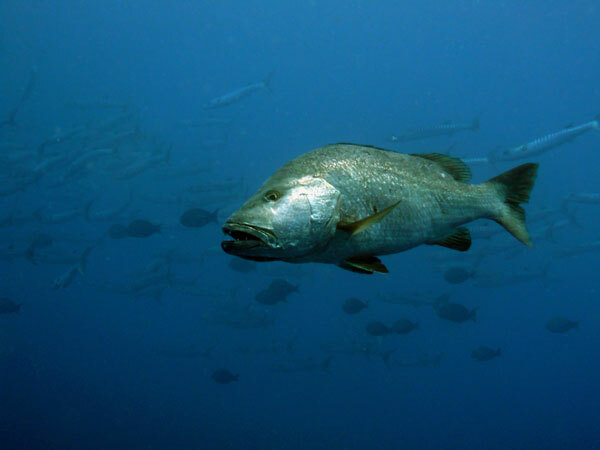 The ultimate Coiba prize – big but elusive Dogtooth Pargo. 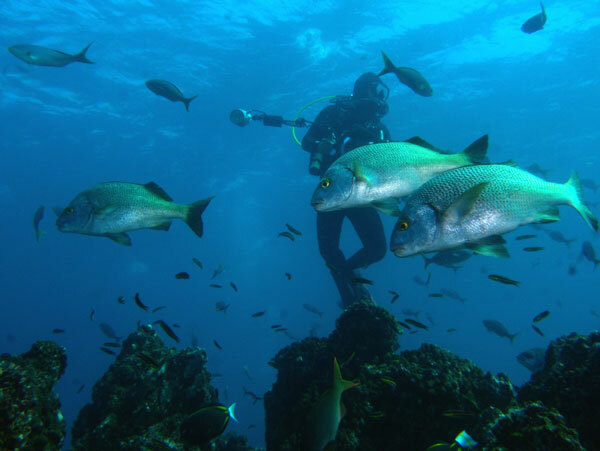 Bluewater Travel can help you plan and book the perfect Coiba Island dive trip. Visit BluewaterTravel.com for more info. Panasonic DMC-ZS6 Camera in Panasonic housing. Single Bonica Neon XP strobe.